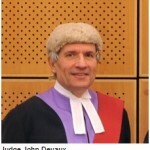 Ipswich Judge Assaulted – What is Contempt of Court? You may have caught the news recently about the assault on a judge by the brother of a defendant at Ipswich Crown Court. A defendant was found guilty and then sentenced to two and a half year’s custody for causing death by dangerous driving. His brother ran from the public gallery shouting his disapproval and assaulted the judge. The next day he was sentenced in turn to 18 months. However, what is contempt and why is it treated so seriously and dealt with so summarily, at least where the fact of it is not disputed? A finding of contempt declares that someone has either disobeyed a court order or been otherwise disrespectful of the authority of a court. Of course, people will privately disagree with the decision of a judge and outside the courtroom in defined circumstances and channels people should be able to express such disagreement as we live in a democracy. However, the rule of law will have no effect and we will revert to the law of the jungle if people will not accept that the decisions of judges must nonetheless be followed and respected. This is why some of the comments left on Evening Star website about the Defendant’s brother in this case being treated too harshly as the judge (fortunately) suffered no long term harm, entirely miss the point. I am sure some of those commentators would be the first to complain if we lost the rule of law in this country and they were then the ones who needed legal redress. Straight disobedience of a court order is the most common type of contempt. Contempt in that sense comes about often in the context of injunctions, for instance domestic violence injunctions, which are ignored, often with very serious consequences. In the context of serious domestic violence, injunctions have powers of automatic arrest by the police for breach attached to them when first made. Otherwise, an application has to be made for a ‘penal notice’ first and the order has to be served again, which makes enforcement more cumbersome but ultimately has the same effect. Injunctions can cover many other things. A few years back a woman, otherwise law –abiding, was jailed for failing to obey a final court order to cut her hedge. The whole basis of contempt is that justice will fall into disarray and will be worthless if court orders are not followed and courts respected, so it makes no difference how big or small a thing the contemptuous party was ordered to do. It is also contempt not to attend court after service of a witness order on you to do so. In the wider sense of disrespect to a judge, this can take many forms. In my criminal law days, I had a case when a young man who had committed a string of burglaries was finally imprisoned and his father uttered a threat to ‘get’ the presiding magistrate. That was clear contempt. Many examples involve disruption of court process in various ways, ranging from such threats to speaking ‘out of turn’ or even yawning (although in such milder cases it is likely the judge will give a strong and probably repeated warning before finding the perpetrator in contempt) . Others involve the press. It is a contempt of court to publish material that will prejudice a fair trial. This kind of contempt is defined by statute. Another case occurred in 1900 when the editor of the Birmingham Argus was convicted of contempt for describing Justice Darling as ‘an impudent little man in horsehair’!